Didi picked the small pot of lip paint from her beauty basket lying next to her feet and removed the lid. She dipped into the pot and ran the black-stained finger along her lips. She picked the curved hand mirror on her lap and looked into it. A big smile of satisfaction appeared on her face. In her human form, Didi was beautiful, too beautiful to be a witch. Her features were perfect—a straight nose standing between well-rounded cheeks which had accepted the uli patterns drawn on them with grace, and radiant eyes framed by slim, dark brows that needed little penciling. The dark coils she’d drawn on her cheeks with uli dye and the black paint on her lips flattered her fair complexion even more. Didi looked into the mirror one more time before she packed up and entered her hut. She came out shortly now with her travelling basket hugged to her side. She locked her door, looked round her small compound and walked off. No man who set eyes on her face would recognize she wasn’t so tall. Beauty could have been what she asked for anyway. They all had their gains; long life, possessions, power to take revenge on those who had caused them pain—the reason most people would want to become witches. But some of them never chose to, they might have been born witches from birth or initiated by their mother, grandmother or just an old aunt. For every witch must provide a successor, it kept the chain going. Out of several daughters she must choose one, the one to replace her when she’s gone. But since the witches rarely gave birth to too many children, distant nieces and even unborn granddaughters were adequate substitutes. The reason many witches could not boast of many children being that most of them find it easier to pledge their unborn babies for the renewal of their dues, instead of having to hunt for a family member’s soul every five years. It was riskier for them. Even now, the witches were already a dwindling race, hence their dogged effort to see that Akwalu rose again. Though many innocent women were killed in the raid, Ola’s mother inclusive, the witches lost many true sisters too. The wise king of Odu had taken them by surprise. Even the few those that managed to escape would hardly ever think of returning because the families they come from were known and a nosy neighbor would always be kind enough to inform the king of their return. Didi had seen many people that evening carrying their offering items to the temple of Ihe as she trod the road leading to Oji village, where Ola lived. Yam heads popped out from the baskets the women were carrying. Stubborn goats bleated and pulled backward as their owners dragged them along, as though they knew what fate awaited them at the temple. Even the trussed up chickens clutched under the arms of those who could not afford goats and sheep did not look too easy too. Didi entered Nnaa’s compound after a considerable walk from her village. She dropped the basket she was carrying to the ground and adjusted the knot of her wrapper. Kpa! Kpa! Kpa!—she clapped. “Who is home? !” Her strong and cheerful tone of voice indicated familiarity, like someone walking into a home she was well known in. Ikem ran out from the back of the hut. 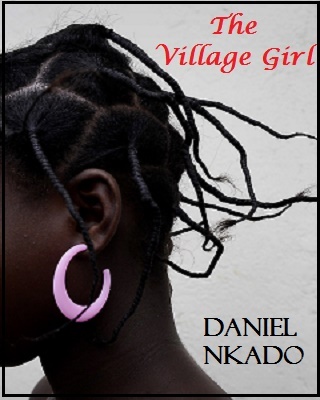 He’d been inside the barn with Ola, helping Nnaa pull out tendrils from the many yam tubers stacked up on the wood racks. According to Nnaa, the longer the tendrils grew, the more the tubers shrunk. And no one knew yet when the rains were coming. Ikem stood in front of the hut staring at the strange woman standing in the middle of their compound. “Little boy, don’t you know how to greet?” Didi said. The look on her face has asked that question before her mouth even said the words. Ikem did not respond or neither did anything to change the cold look on his face. Luckily for them both, Ola and Nnaa came out shortly “Greetings, good household,” Didi said. Nnaa squinted. The dying evening sun had cast an obscuring shadow across Didi’s face. “Greetings accepted, strange woman, who are you?” Nnaa’s eyes lingered on Didi’s face as he tried hard to be fully sure he hadn’t met this woman somewhere before. He was sure he hasn’t. Hearts thudded and footsteps drew stiffly forward. “You knew my wife?” Nnaa asked. There was a long pause before anyone spoke. Ola’s face had taken on a blank look, her eyes steadily growing misty with liquid. “Woman, when last did you see your friend?” Nnaa asked. They knew at once this woman really knew Nne. When she was alive, Nne could munch on the boiled nuts all day, even without any other food. Didi bent to drop the wrapped nuts back in her basket. But as she wanted to rise again, her waist bone clicked. She whimpered, clutching her knees. Ola lifted one of the logs and darted toward her. But nothing could stop Didi from rolling on the ground, covering herself with dust, making herself look convincing. “She was my sister! My only sister!” she cried. Ola pressed down her eyelids to release the liquid clouding her eyes. She hadn’t intended for the tears to come. She had always tried to choke them back. But she’d discovered sometimes it just becomes too difficult to do. She pressed her lips tight, inhaled deeply and blinked away the tears. She wiped at her eyes and flopped down on one of the logs, clutching Ikem to herself. “How did it happen?” Didi asked. She now sat beside Nnaa in front of his hut. Anyone who saw her dust-speckled body and hair might think her a mad woman, one at the early stage though, because her wrapper was still fairly neat and properly knotted. Unlike the young girls in Odu, older women covered their belly. They tied a longer piece of wrapper that covered their chest down. Ola heard her and got up from her seat and ran into her hut. She dropped at the edge of the bed and buried her face in her hands. “Men are wicked,” Didi said as she lowered herself back to her seat. “Men are really wicked!” Nnaa joggled his legs and continued staring ahead. “A man without a wife,” Didi began to mutter. “Children without their mother—” She shook her head. “Men are really wicked.” She spat. “We’ve grown over it,” Nnaa said, aware he’d just lied. Nne’s death had ever remained his despair. “I will stay and help if you wouldn’t say no,” she said as she turned back to him. Didi nodded. She reached across her cheek to wipe a trickle of tear. From the corner of her eye she peeped at him. She had expected him to say more, ask more, at least of course ask her who she had mourned. But Nnaa said nothing more. He folded his arms on his belly and leaned back into the wall, the dismal look still on his face. He was dark and lean. Ola got her fairness from Nne. A short graying beard hung on his chin and the skin around his eyes had begun to crease. But his youthful handsomeness hadn’t entirely disappeared; he had finely cut lips. “I think you a nice woman too,” Nnaa said. A woman without a family in a home without a mother, no trick would have worked better. But for now Didi only got one night, far still from her actual intention. Ola leaned from the log, drawing meaninglessly on the soft ground. “Did you sleep well, my daughter?” Didi’s whispering voice startled her. She’d noticed when the door of Ola’s hut creaked open because she too hadn’t been doing much sleeping. She’d slept in the old hut at the back of Nnaa’s. There were three of them in the compound; the one Ola shared with Ikem faced the front entrance of the compound, top opposite to Nnaa’s. Nnaa’s hut was biggest; it was the one he shared with Nne while she was alive. The other hut at the back, the one Didi slept in, was the oldest. It was Nnaa’s molting hut, the one he built when he first left his parent’s house. It had since turned into a spare hut, for visitors like Didi who would like to sleep over. Ola had dusted the bed for her that night. Didi sighed, hissed and shook her head. Ola stared at her. Something told her she could feel safe with this woman. She knew Nne well, and even had her kind of skin. “Do you ever wish to see her again?” Didi asked. “It is, my child.” She squeezed her shoulder gently. There was long pause before anyone of them spoke again. Ola watched Didi turn quietly away. She understood how she might be feeling. Only she didn’t know how to offer helpful consolation. Consolation only made people sadder, experience had taught her. “Could I touch her too?” Ola has started to dream. Didi made an understanding expression of the face and nodded. “I can imagine,” she said, turning away again. “I’m sorry about your child,” Ola said. “Where do you come from?” Ola asked, in hope to create diversion. “Wait, you gave Nne that woven pot, didn’t you?” Ola said, excitement brightening her face. The smile lingered on Ola’s face as though she was keeping it. The stories about Nne brought so much cheer. “Do you have any more children?” she finally asked. Ola swayed her head. For a long period neither of them spoke. Okri birds now sang from the tree behind the hut. “When do we go?” Ola was first to speak. Didi stood and Ola watched till she disappeared behind the hut. She turned to her front and dropped her chin on one hand, eyes gazing steadily ahead. She had never thought it was possible she would see Nne again. It would be a treasure. They’d talk about so many things, about the pear tree she had planted at the farm which Nnaa watered regularly and said will soon start to bear fruits, about their new beautiful kitchen which have come to replace the old one she always complained of the leaky roof, and then about Ikem—the stories of his numerous mischief will keep her laughing on and on. But before she goes, she must ask her of one thing, something very important—to grant her the power to finally avenge her, bringing pain to all those that had caused her pain. The dead held unimaginable strength which they can easily transfer to anyone they like—that Ola has heard before and believed. But she did not let her mind think of who her revenge should fall on at that moment, who was well deserving of it. King Oduma perhaps, His Royal Majesty, the crowned king of Odu, Onyema’s father; after all he was the one who organized the raid in the first place. But then, it could be the man that she believed convicted Nne wrongly. That witch teller man, the old man with bald head and wrinkled face that pointed Nne out from the gathering that day. He’d walked past her in his usual tortoise-like gait, muttering and spitting like an insane child, but he’d turned and waddled back to her again. His eyes alternated between the faces of mother and child till they finally rested on Ola’s. But it was Nne that Ayuka finally pointed out that day. Only he knew how he distinguished the witches among the many rows of women and young girls, what method he used. Some said he could smell the witches’ blood which reeked only of evil. Perhaps that was the reason his nose always remained wrinkled each time he was pointing out a witch. The young girls he pointed out were few, fewer than the older women. According to Ayuka, those he had called out were only those he was sure had taken the blood oath and had started using their witch powers. Those whose powers were still dormant he could not smell and point out. And they were the ones that still had the chance to be redeemed by the light of Ihe. 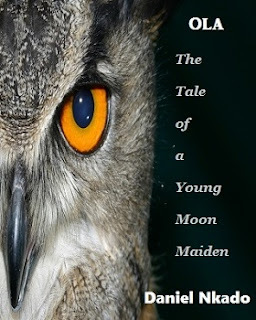 The moon maiden has the power to cast out the witch spirit from such children. Even a priestess can exorcize evil from the girls too, only her method is prolonged, and can be quite agonizing too. The girls will have to remain at the temple for up to seven days drinking potions upon potions, each tasting worse than the other, till they have barfed all that is evil in them. But Efu lost her power of exorcism too when she defiled the sacred temple of Ihe. The king wouldn’t have needed a witch teller even, if she had been in any way up to her duties. Ola may still even decide to extend some of her revenge scheme to the big-chested men that dragged Nne out from the gathering that evening as the other accused women to throw them into the pit of fire. They had heeded the king’s instruction well and utterly neglected all the convicts’ pleas and protests. They’d roughed most of them up, especially the ones aggressive with their remonstration. But Nne didn’t struggle with them that much. She had followed the men almost willingly, only turning round on and on to look at her wailing daughter who one of the guards had grabbed. The guard held Ola tight till she was finally thrown into the pit. But Nne’s mild protest only caused the many crowd that had gathered to sneer at her the more. “Greetings, good man,” Didi said, bowing. “Father,” Ola called, in such a familiar tone Nnaa knew at once what she was about to do. She took a few steps forward to stand beside Didi. “Perhaps she could stay some more,” she finished. “Ola?” Nnaa stood and took her by the hand and they moved slightly away. “She cannot stay, we hardly know her. Nnaa stared at her and then hung his head. Nnaa hummed and hung his head again. Unlike daughters her mate, she hardly demanded favors; new wrappers, jewelries, parties, none— so each time she finally did, Nnaa would think twice before denying her. Nnaa finally shrugged—a shrug of surrender that induced a smile on Ola’s face. They walked back to Didi. “Gratitude, nice man, I shall gladly stay,” Didi said. “At least let it be my little tribute to my old friend.” She turned to Ola and they shared a small, conspiring smile. A week seemed time enough. But Didi knew she must take her scheme slow if she ever hoped any of her plans to succeed. But don't tell me Onyema died. Hi, Martin. The remaining chapters will be posted soon. I trust Okaka...the wise one. But its strange he can't fight witches. He is a dibia. The witches are quite powerful. Glad you are enjoying the story. I guess no updates until we clamour for it. Please we love to see your comments. We like to know people are reading and appreciating what we are posting. Thanks for the update. More power to your elbow. I hope Ikenna changes before he leaves the forest. He sure will get the tortur of his life in the forest with his arrogance. 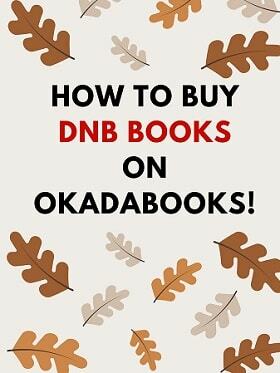 We've posted OLA twice on DNB Stories for free. We deleted the pages when we discovered other blogs were copying it and reposting on their platforms. And we normally do not produce ebooks for just sale. 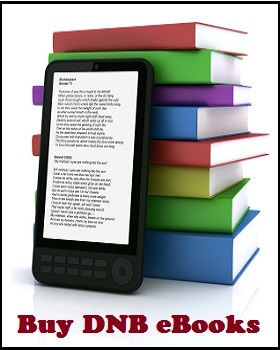 All our ebooks are stories we've posted here from beginning to end. It has always been our policy. We make small money to maintain our site. Hope you do understand. Check the new way to get our books HERE. Contact me if you still have reservations.